EA had only just confirmed that Battlefield: Bad Company would only have gold rush but after alot of outcry by fans on the EA message boards, EA has announced that they are listening to the fans and will be offering Conquest in the game some time after initial release as a free download. Throw out the rules of engagement, this is all-out war! 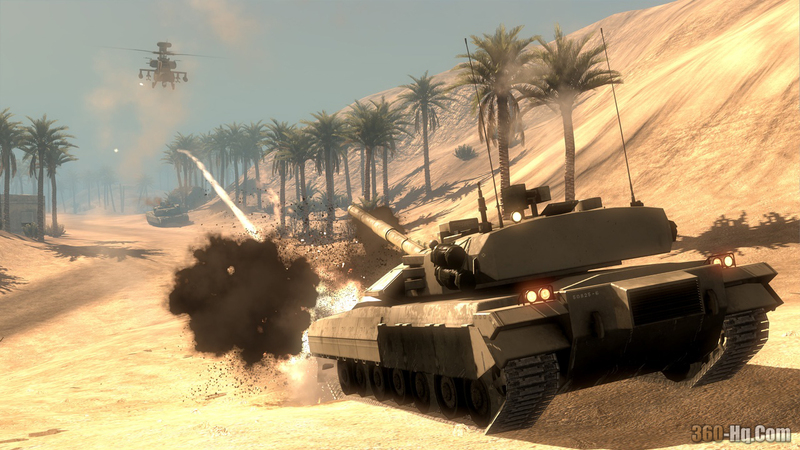 Built from the ground-up for next-generation consoles using Digital Illusions' bleeding-edge Frostbite game engine, Battlefield: Bad Company drops gamers behind enemy lines with a squad of renegade soldiers who risk it all on a personal quest for gold and revenge. Featuring a deep, cinematic single-player experience loaded with adventure and dark humor, the game delivers the series' trademark sandbox gameplay in a universe where nearly everything is destructible. For those gamers looking for info on the latest BETA release of Battlefield: Bad Company please read gamexxover's BETA review which is located at the link below or watch the BETA videos available in our videos database. Xbox LIVE Fan Appreciation Sale - Save on DLC, Add-ons..
Battlefield: Bad Company Multiplayer Beta Announced for.. Lineup of Japanese Developers and Blockbuster New Games..